Sign in or register to be a Special Access User. 2019 FEB 26 (NewsRx) -- By a News Reporter-Staff News Editor at Computer Business Daily -- Jack Henry & Associates, Inc. (NASDAQ: JKHY) announced its Board of Directors increased the quarterly cash dividend by eight percent (8%) to $0.40 per share. The cash dividend on its common stock, par value $0.01 per share, is payable on March 18, 2019, to stockholders of record as of March 1, 2019. At February 7, 2019, there were 77,176,611 shares of the common stock outstanding. Kevin D. Williams, CFO of Jack Henry & Associates, stated, “The increase in our dividend reflects our on-going commitment to provide a good return on their investment for our shareholders. We established our dividend policy in 1990, and our dividend has increased every fiscal year since its inception. Our announcement of this dividend increase during our third fiscal quarter is consistent with previous years practice.” Keywords for this news article include: Business, Investment and Finance, Jack Henry & Associates Inc.
Wells Fargo/Gallup Survey: Investors Favor ‘the Human Touch’ Over Technology When Seeking Financial Advice. 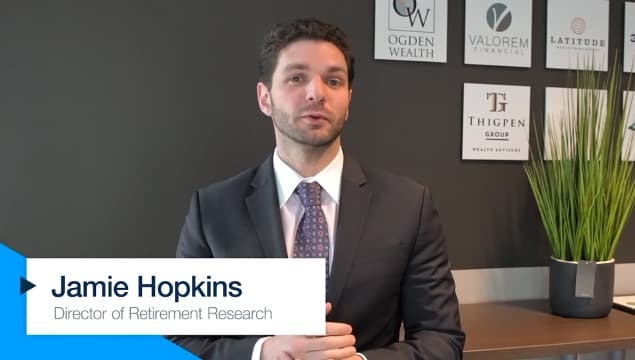 Join Jamie Hopkins, Director of Retirement Research at the Carson Group, in an exclusive, new video series, Rewirement Tips. © 2019 Advisor News. All rights reserved.